The fundamental problem with the current medical model is that it is based only on the visible sources of diseases. There is an over-emphasis on the functions of pharmaceutical drugs that fail to identify the potential real sources of many diseases and fail to provide cures for many chronic conditions. There is little or no emphasis on preventative medicine. This is a fundamental omission in the general development of modern medicine. This situation is exacerbated by the high cost of health care, dependence upon large medical providers whose priorities often conflict with best care practices, and a medical system that is focused on disease instead of health and prevention of illness. Furthermore, iatrogenic disorders cause tens to hundreds of thousands of deaths per year, adverse drug reactions are a leading cause of disease and death, people are frustrated by the inability of mainstream medicine to meet their needs, and even the White House Commission on Complementary and Alternative Medicine Policy states that conventional medicine is not addressing chronic illness and diseases . According to Dr. Herbert Benson, “…only about twenty-five percent of the illnesses that bring a Western patient to a Western physician are successfully treated by specific agents and procedures. The other seventy-five percent either get better by themselves or are related to non-specific, mind-body interactions. Our Western medical approach is thus rather limited in its efficacy .” In addition, the Department of Health and Human Services (DHHS) and the National Institutes of Health (NIH) declare that seventy percent of disease is preventable . We also note that the CDC is a founding member of the Active Aging Partnership  whose charter is to outline broad strategies that will lead to increasing physical activity among older Americans. One such strategy is the use of Qigong and Tai Chi (a martial arts moving form of Qigong) in senior wellness, prevention, and chronic illness programs. They have been proven effective with chronic conditions and rehabilitation, stress reduction, increasing immunity, reducing muscular system tension, lowering blood pressure, easing arthritis, improving balance and flexibility, improving mental well-being, improving cardio-respiratory and musculoskeletal function, reducing the risk of falls in seniors, and building strength . In addition, funding for CAM within NIH has increased from the initial outlay of $2 million in 1992 to start the Office of Alternative Medicine to a budget of over $200 million in 2005 for all National Center for Complementary and Alternative Medicine activities. Given these facts, it’s hard to understand why these health modalities are not more generally accepted by Western medical practitioners. Recognizing these limitations and opportunities, we propose a systematic study of the effects of human intent and mental influence on diseases and healing, which would overcome the major short-comings of the traditional medical model and make personal health and healing more complete. Specifically, we advocate the development and promotion of Qigong the ancient Chinese self-applied health maintenance practices for prevention as well as cures. 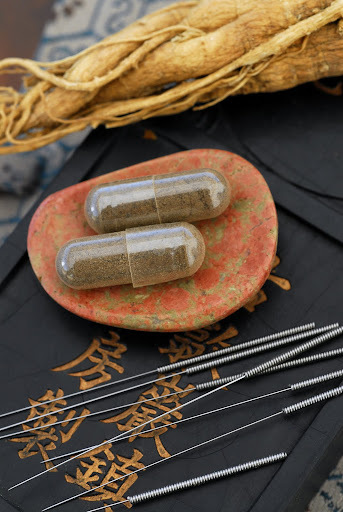 Traditional Chinese Medicine (TCM) is a holistic system for promoting health and healing that includes the major branches of acupuncture, herbal medicine, acupressure, and massage. 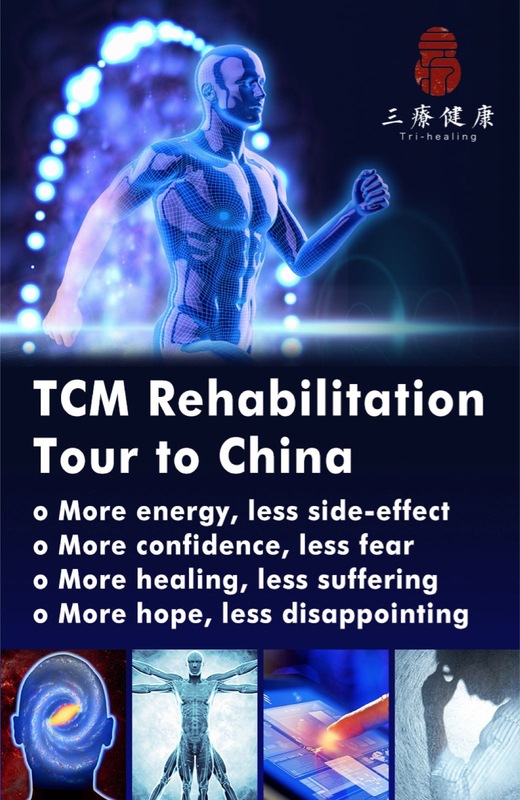 TCM stems from Qigong. These therapies are often used in combination. Qigong has a history of over five thousand years, and it is unique among TCM therapies because almost anyone can learn and practice it. An estimated sixty million people in China (the world’s largest developing country) practice Qigong daily, primarily to maintain health and achieve long life . 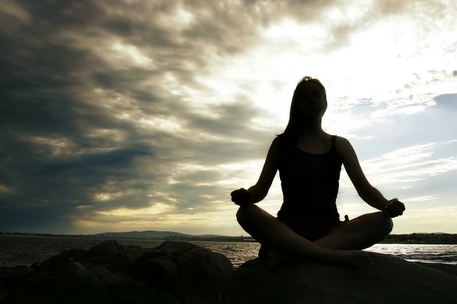 Medical Qigong has been reported to treat many health and medical conditions. Medical Qigong for health and healing consists primarily of meditation, gentle physical movements, and breathing exercises. 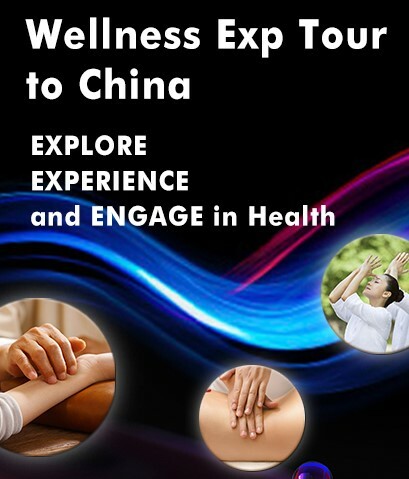 Qigong is promoted heavily by the Chinese government since there is simply no other way to deliver basic health care to such a large population without self-healing and patients’ active participation. The most critical issues confronting the establishment of Qigong as a preferred alternative health maintenance therapy to established western medical practices are the collection of scientific evidence. Few studies have been published in English , and original scientific reports in Chinese are often difficult to obtain and translate. Furthermore, some otherwise valuable technical research papers are scientifically incomplete. There are two major obstacles to the application of Qigong therapy in everyday health care: (1) Lack of interest from researchers and health care professionals because they are blinded by their belief in reductionist medicine only; (2) Lack of general funding and support to conduct high-quality research to verify the benefits from Qigong therapy. That Qigong is a valid medical therapy is not in question, as evidenced by the fact that the non-profit Qigong Institute’s Qigong and Energy Medicine Database™  contains close to four thousand medical references on the beneficial effects of Qigong and Tai Chi for a range of diseases and conditions. For example, the inhibitory effects of external Qi therapy on cancer growth in mice or in-vitro cell cultures have been replicated by various scientists in different labs from different countries ; and these effects are far stronger than any known pharmaceutical drug but without any side effects on patients. However, until today, the National Cancer Institute (NCI) has not considered a formal funding of clinical trial to test this effective therapy in patients. If any drug could achieve half of the observed inhibitory effects in Qigong therapy for tumor growth without the common side effect, we would see millions of dollars invested to its development and advertisement. Furthermore, cost reduction is a major concern in health care, and significant cost reduction has been reported in the treatment of asthma by self-applied Qigong, such as reduction in days unfit for work, hospitalization days, emergency consultation, respiratory tract infections, and cost of drugs . 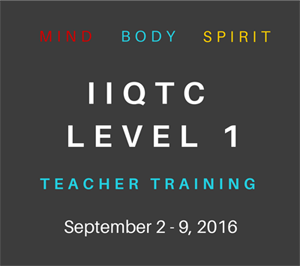 We propose at least the following specific initiatives to research and promote Qigong as a primary health modality. (2) Complete the Qigong Institute’s Qigong and Energy Medicine Database™ via an exhaustive review and translation of existing published Qigong research in China so that the public and health care professionals can access all information about the potential benefits of Qigong therapy. (3) Fully document Qigong therapy in treatment of different chronic conditions (such as hypertension, diabetes, arthritis, degenerated disc diseases, asthma, cancer and so on) via investigation, analysis, and publishing results and descriptions of current ongoing best practices. Includes analyzing leading institutions, hospitals, and practitioners. (4) A longitudinal health community project such as that advocated by the Active Aging Partnership — implement an active prevention program in one or two communities with Qigong meditation and other activities where community members will actively take responsibility for their own health and participate in their health and healing process, instead of waiting for the cure — to examine the health consequences in terms of mortality, mobility, quality of life, and health-related expenses, — This is the optimal plan for Qigong research and the mind-body medicine model. (5) To date, Tai Chi research has been carried out mainly with seniors. This needs to be extended to other age groups. Furthermore, “In the literature there is a dearth of biomechanical studies. Some characteristics of muscular activity and movement kinematics and kinetics during the performance of [Tai Chi] movements are understood, but how they help to improve movement capacity has not yet been explained. Solving this puzzle should provide a significant challenge to scientists of both medical and biomechanical disciplines ”. (6) Also of tremendous health benefit would be an understanding of how the mind affects immunity. Numerous studies have shown the correlation between mental state and illness. More funding for projects involving the use of Qigong to study psychoneuroimmunolgy are highly recommended. This would include studying placebo-induced analgesia. “The value of this subfield of placebo research lies in the fact that it offers up a specific neural circuit hypothesis capable of being integrated with equally rigorous experimental work on the psychological, social, and clinical levels [and]… could serve as a model for research on non-analgesic placebo responses . (7) In addition, research is required to characterize the human energetic system at its fundamental level. Large strides have been made researching and proving the benefits of the most well known form of energy medicine, acupuncture , yet most acupuncture research is done on particular illnesses or to provide targeted treatments. In order to have the greatest impact, people must be able to carry out their own self-initiated health care. Having research that proves the most effective way to manipulate the human energy system would provide a tremendous benefit. Self-applied health enhancement via mind/body integration is simple yet powerful. It costs nothing to use, has no negative side effects, and can be practiced anywhere at any time by anyone. The potential for health system cost savings through disease prevention and cure is enormous. The ability of Qigong to deliver basic health care to large populations in developing countries is significant. 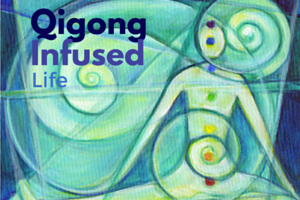 The integration of mind and body for healing and health maintenance via Qigong is so profound yet practical that it has the potential to be nothing less than one of the primary medical breakthroughs of the 21st century. In addition to the specific initiatives regarding Qigong, we also encourage research of other complementary and alternative therapies. Furthermore, we strongly recommend a Human Energy Project to fully characterize the human energetic system. This would have enormous benefits for health care, but the potential scientific discoveries go way beyond health care and are on the order of the Human Genome Project. White House Commission on Complementary and Alternative Medicine Policy. Final Report. U.S. Government Printing Office (also www.whccamp.hhs.gov/finalreport.html). March 2002. Eisenberg, D. Encounters With Qi. Penguin Books 1985. 13-14. DHHS 2000, Department of Health and Human Services. Healthy People 2000: National Health Promotion and Disease Prevention Objectives. Washington DC, Pub.#91-50213, 1991. Online document: odphp.osophs.dhhs.gov/pubs/HP2000/midcrs1.htm. J X Li; Y Hong; K M Chan. “Tai chi: physiological characteristics and beneficial effects on health”. British Journal of Sports Medicine. June 2001 v35 i3 p148. (Statistical Data Included). Sancier, K. “Medical Applications of Qigong”. Alternative Therapies. January 1996. Vol. 2, No. 1. Sancier, K. Qigong Database. Menlo Park, CA: Qigong Institute, 2001. Chen K, & Yeung R, (2002). “Exploratory studies of Qigong therapy for cancer in China.” Integrative Cancer Therapies. 1(4): 345-370. Reuther, I and Aldridge, D. J. Alternative and Complementary Medicine. 1998, Vol. 4, No. 2, 173-183. Hoffman, G.A., et al. “Pain and the Placebo”. Perspectives in Biology and Medicine. Spring 2005. Volume 48, Number 2:248-65. Lin, Shin. Recent Developments in Qigong and Acupuncture Research. University of California, Irvine. Preliminary paper. This entry was posted in Uncategorized and tagged research. Bookmark the permalink. This is a wonderful article. Thank you for your years of hard work and service to the public, in the way of qigong research. It is so very valuable and good for all of us who do healing work.